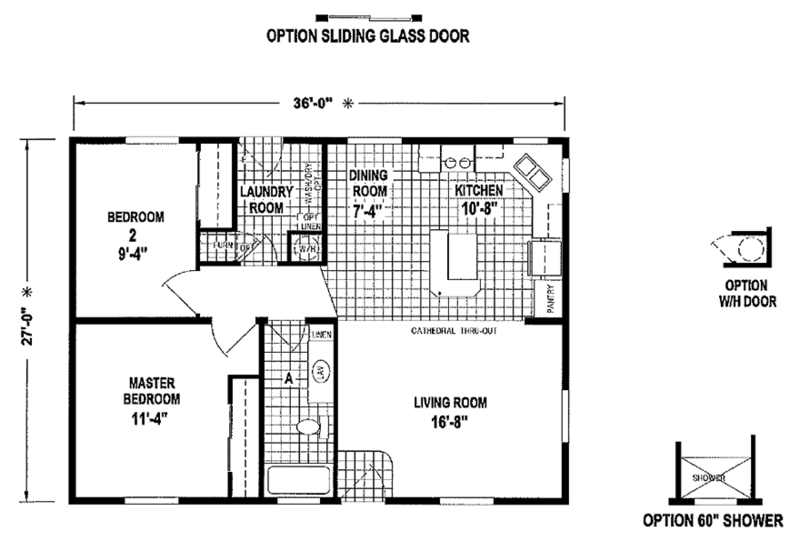 The Ukiah model has 2 Beds and 1 Bath. This 972 square foot Double Wide home is available for delivery in Oregon, Washington, Northern California, Northern Idaho. This perfectly cute and very popular mobile home is a good fit for small families or recent downsizers. The somewhat boxy shape gives it a residential look. Though on the small side, there is plenty of room to kick up your feet and get comfortable. Ask your housing consultant about the other great features that come standard on the Ukiah manufactured home.